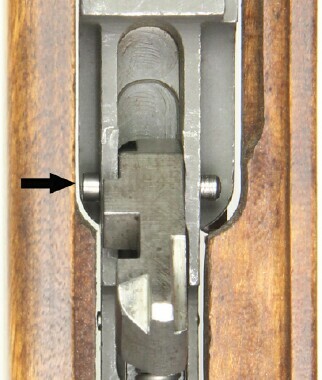 In the months between the acceptance of the 2nd Winchester prototype as the Carbine Caliber .30 M1 and the beginning of mass production the carbine's hammer went through several redesigns. Some of which were prototypes not used during production. The hammers below were accepted by Army Ordnance for use during the production of the carbines. 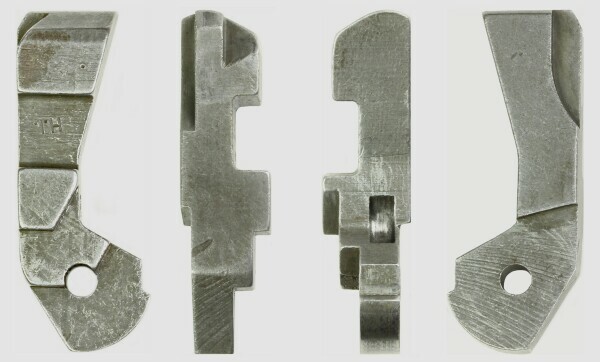 For the purpose of consistency with the current commonly used terminology the hammers shown here are grouped into five different "types". Although these types are numbered sequentially I - IV, several were manufactured and used concurrent to one another. Only one hammer design was manufactured by/for all of the prime contractors and became the standard for all carbines: the type III hammer. 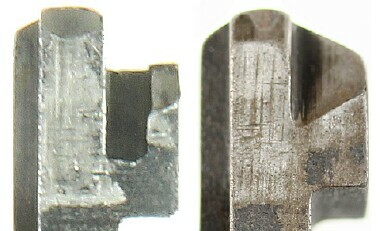 The angle of the cut in the left side of the hammer resulted in the term "Dogleg" to describe the early hammers that have this cut. machining of the top of hammer that impacted the rear of the bolt. This hammer was primarily manufactured and used by Saginaw Gear at their Grand Rapids facility. 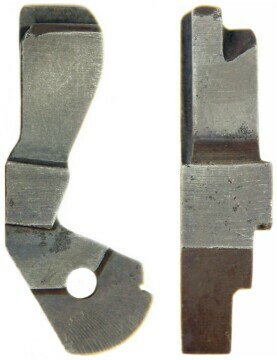 It is believed to have been manufactured and used concurrent with the type II dogleg hammer about August 1943.
on the left side of the type II hammer is absent on the type IIA hammer. and add the markings. 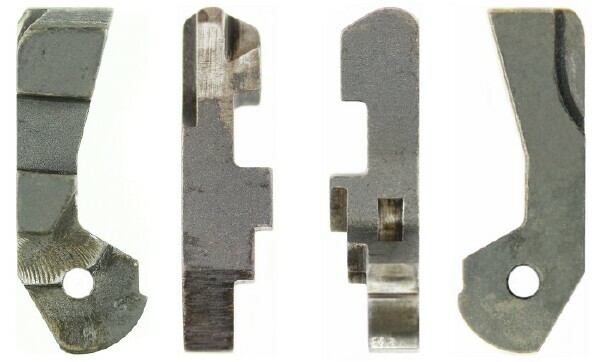 One common source for these has been Riverbank Armory who has also sold them on Ebay and Gunbroker. 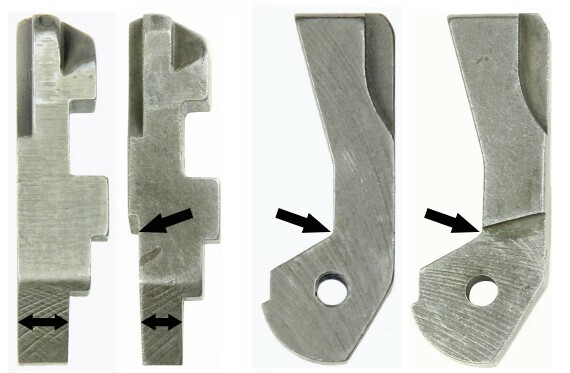 Efforts to improve the carbine's trigger pull had been ongoing since the first prototypes. 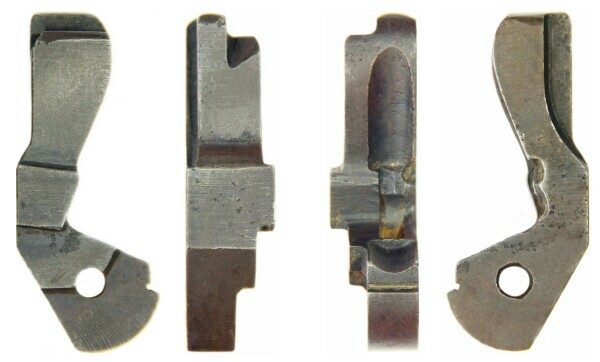 On April 12, 1943 the Army Small Arms Committee recommended this hammer in conjunction with a longer hammer spring (see type III Hammer Spring below) as the new standard and as replacements for all previous hammers and hammer springs. This recommendation was approved by the Ordnance Committee April 15, 1943 and Headquarters, Army Services Forces May 1, 1943. 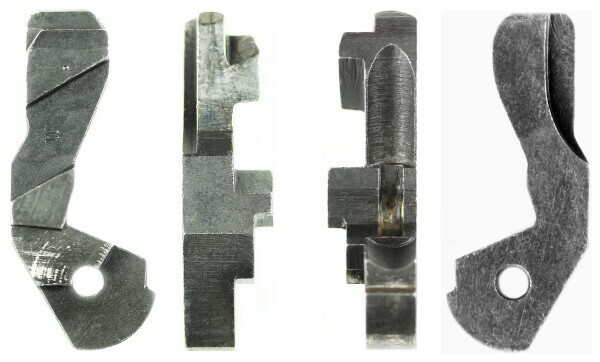 The design of this hammer moved it's detent for the hammer spring plunger slightly farther to the rear, above the hammer pin pivot hole, and straightened the front of the hammer. 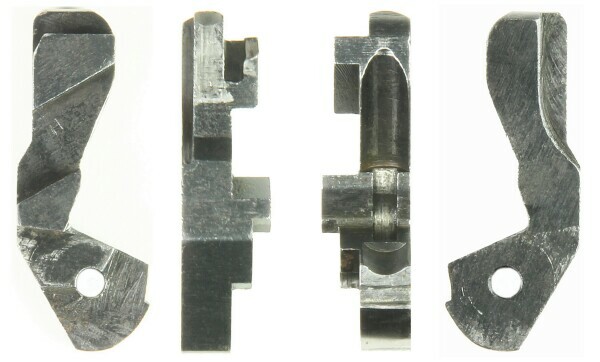 In combination with the longer spring of a slightly smaller gauge and more coils this design improved the trigger pull significantly and strengthened the strike of the hammer on the firing pin thereby strengthening the strength of the impact of the firing pin on the primer. 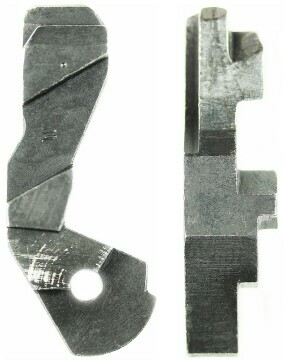 Unlike several previous prototypes this hammer/spring combo was a drop in replacement for the previous hammers and hammer springs. Use in actual production started approximately September 1943 with the earlier dogleg/Fat Boy hammers and shorter spring being replaced by Field Ordnance personnel as supplies and opportunities presented themselves. 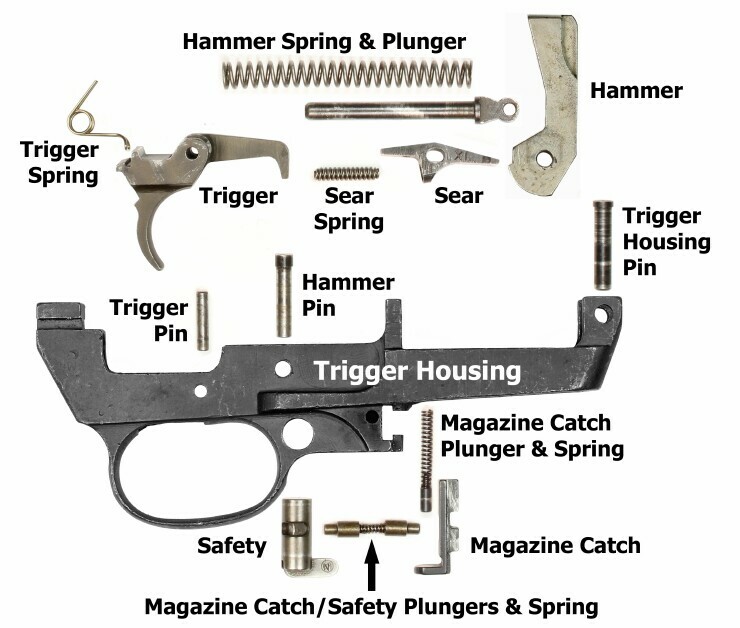 During the post WWII Ordnance Overhaul of carbines this hammer and spring were mandatory replacements for Model M1 Carbine. M1 Carbines converted for select fire operation. replacement with the type III hammer for carbines having the earlier designs. I 22 approx. 2.1" .28"
II 26 1/2 approx. 2.5" .28"
Length: 2.16" - Shaft Diameter: .18"
Length: .85", Diameter: .16", Head Diameter: .19"
stock to hold the pin in place when the carbine is assembled.